The 3rd Annual Golf Classic was a great success and we would like to thank our players and sponsors! 2017 is going to be a great year and we will be selecting a new course to host the 4th Annual event. Please email for more information about this year’s golf classic. 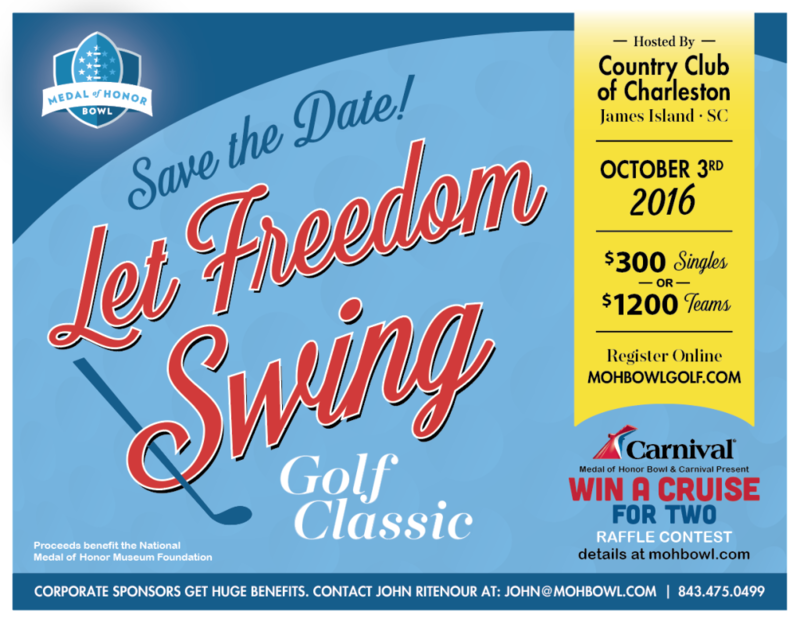 Join us for the best golf experience in Charleston this year on October 3rd, 2016 at the Country Club of Charleston for the Medal of Honor Bowl “Let Freedom Swing” Golf Tournament. Please click on the image below for registration information or to find out more about this years 2016 tournament.